It’s not a little known fact that Portland boasts quite the coffee culture. Think about coffee and you imagine several cities synonymous with either rain or café culture: Vienna, Rome, Buenos Aires, Seattle to name a few. But, who in the world has 30 coffee roasters within one city? 30. Not a dozen, which even the mightiest of dining scenes like San Francisco and New York haven’t even reached yet. Hey, Portland, Oregon isn’t a normal city when it comes to eating and drinking. After all, those 30 coffee roasters pale in comparison to the hundreds of food carts and roughly 45 microbreweries now. 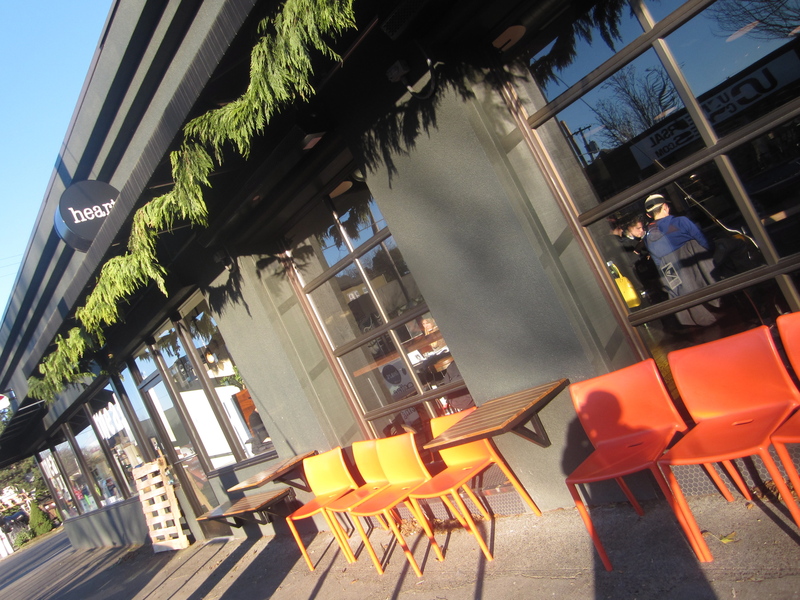 Starbucks isn’t from here, but Stumptown started on SE Belmont Street. 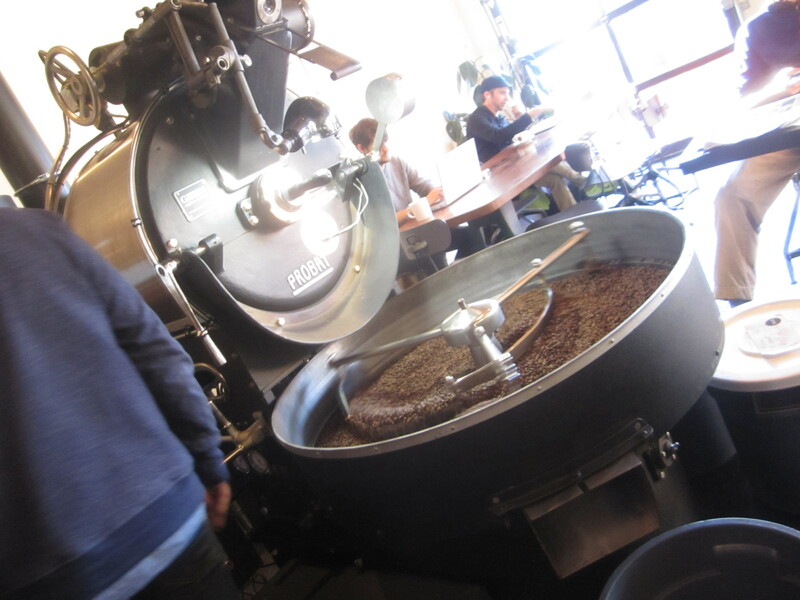 I’ve enjoyed Stumptown roasted beans in New York and obscure San Francisco Bay Area towns. 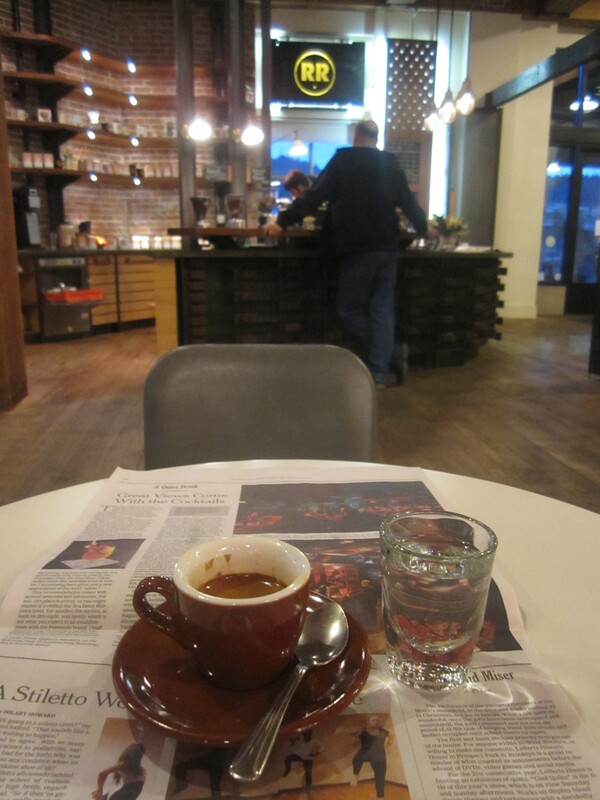 Is Stumptown more Starbucks or one of the little roasters of Portland still? Whatever we consider Stumptown, there is no doubt that they led the charge of what is far and away the country’s most dynamic coffee culture. Yes, blue sky is a rare sight. But, it’s not the cloudy days that makes Portland’s coffee roasters and cafés so successful. It’s the people and the companies themselves. If Honolulu had roasters and baristas of this caliber, we’d be rolling up to grab a macchiato after every surf session instead of shaved ice. 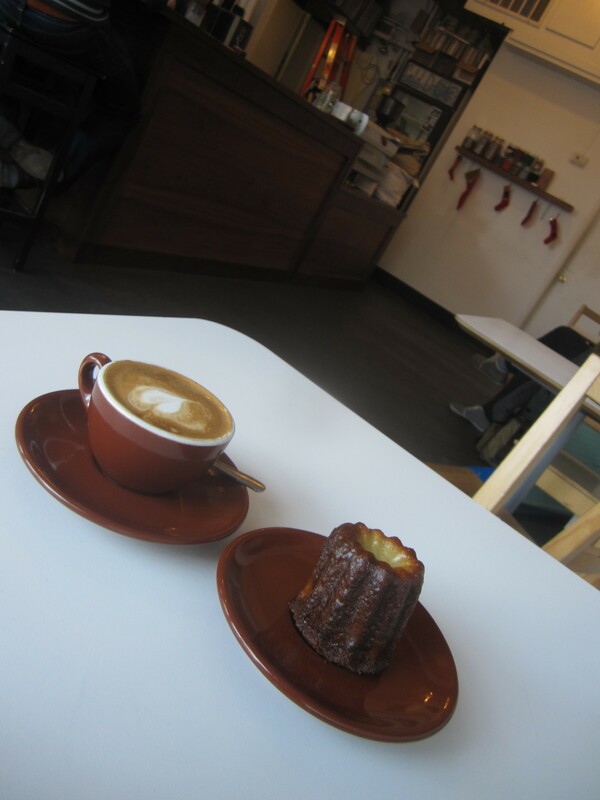 Stumptown’s cafes around Portland continue to be local and visitor favorites, whether it’s the hip school hangout at the Ace Hotel, or the original and its annex for cupping at SE Belmont. 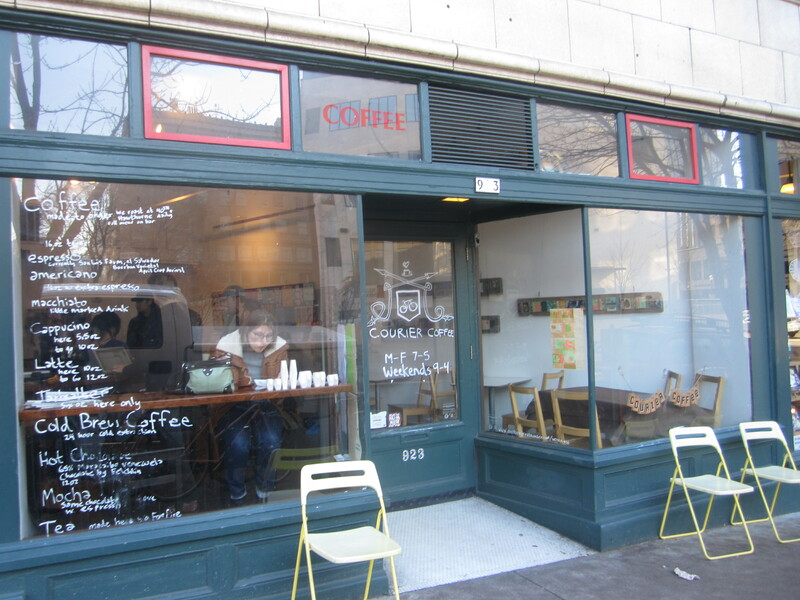 There is no shortage of competition though for the now nationally well-known pioneer.In the spring of 2012, yours truly featured a (comprehensive) caffeine-fueled round-up of Portland’s coffeehouses, most of who roast their own beans on-site or nearby. The round-up included a cupping at Stumptown’s Annex, in addition to declaring the shoebox sized, impossibly charming and ultra-Italian café, Spella, in Downtown Portland, the city’s leading espresso and espresso café experience by the a tiny margin, the size of an espresso shot margin if you will. This recent visit unfortunately didn’t include a return to Spella, nor to Barista or Water Avenue Coffee, which also always warrant a stop. 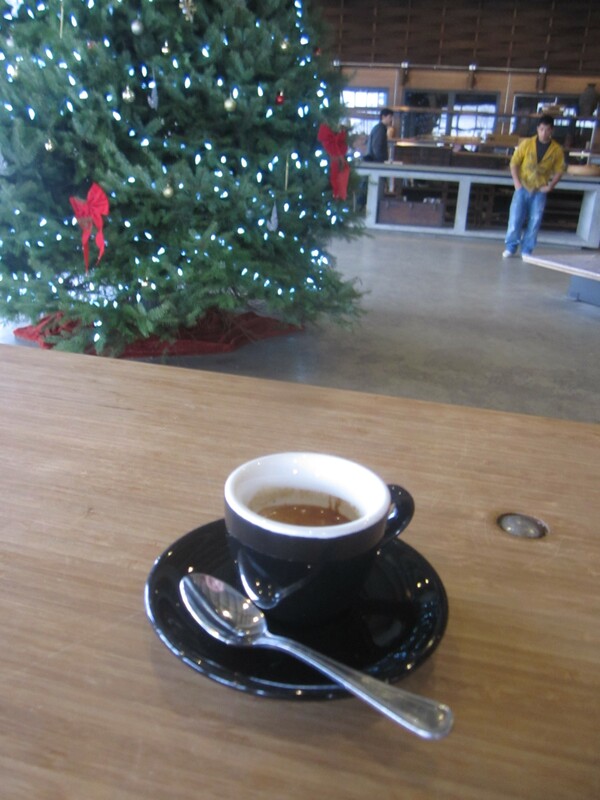 The most improved espresso shot came courtesy of SE Grand’s Coava Coffee, easily one of the country’s most striking venues for sipping a coffee in their shared showroom-art gallery-coffee bar with Bamboo Revolution. The espresso could use a sparkling water sidecar to up the experience another level, but they always have at least two single origin espressos on offer, a true rarity. If the recent single origin espresso from Guatemala is any indication, the baristas are absolutely on their game in extracting the most vibrant fruits and woodsy notes from the beans, with exceptional crema atop the handsome body. 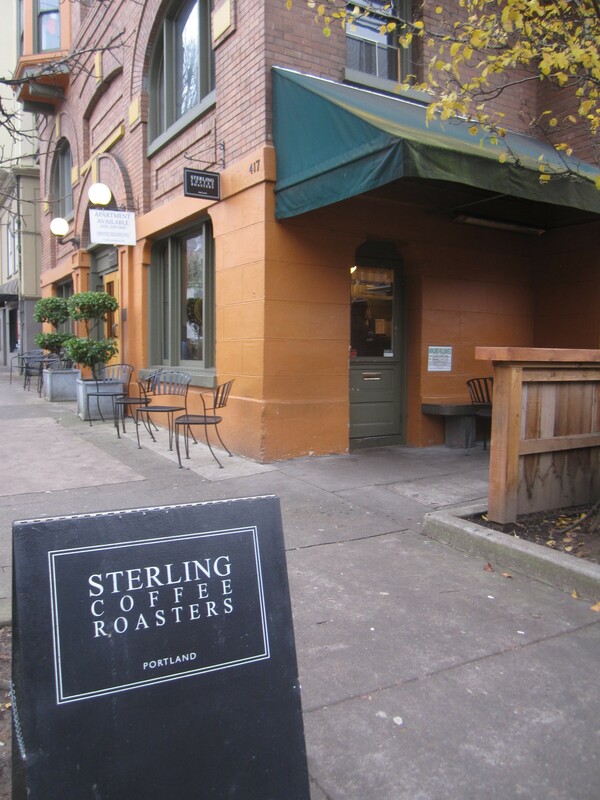 It’s hard to say that Sterling Coffee has improved coffee-wise since leaving their hole in the wall digs tucked adjacent to a NW Portland Trader Joe’s in June for a jewel box sized, elegant café by day and bar at night around the corner. Sipping an espresso here feels much more like sipping tea at an elegant Mayfair hotel’s salon with flower vases on the tables than being in a café of any sort. Except, the wonderfully affable baristas don’t have the slightest air of snobbiness the atmosphere might dictate or attitude so many baristas feel required to present with the espresso. Yes, there are more flowers than laptops here. 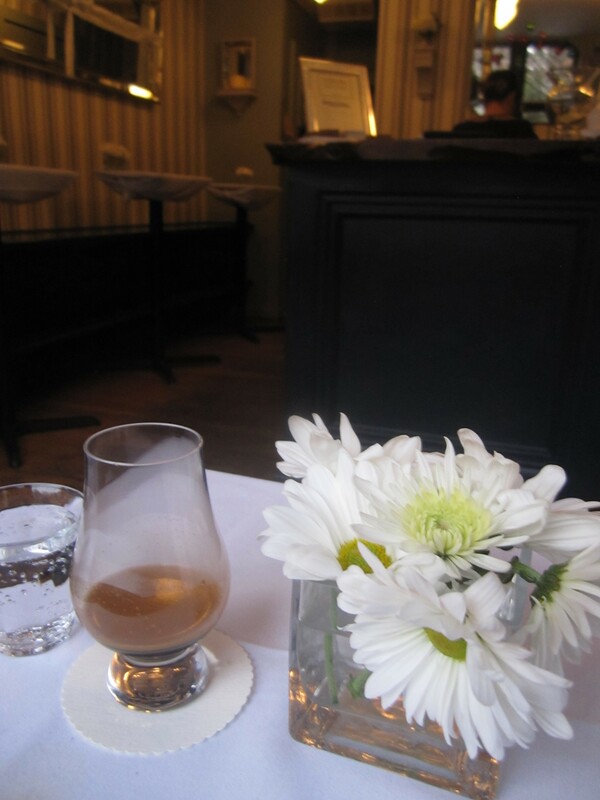 Even the espresso is served in a dainty glass more often filled with Calvados perhaps. Adam McGovern has a vision for Sterling, a formal, refined vision for espresso that is absolutely brilliant. Just like in my last visit, prices are one tick above the rest (we’re talking 25 cents here), but you’re also paying for the experience and the obligatory sparkling sidecar. 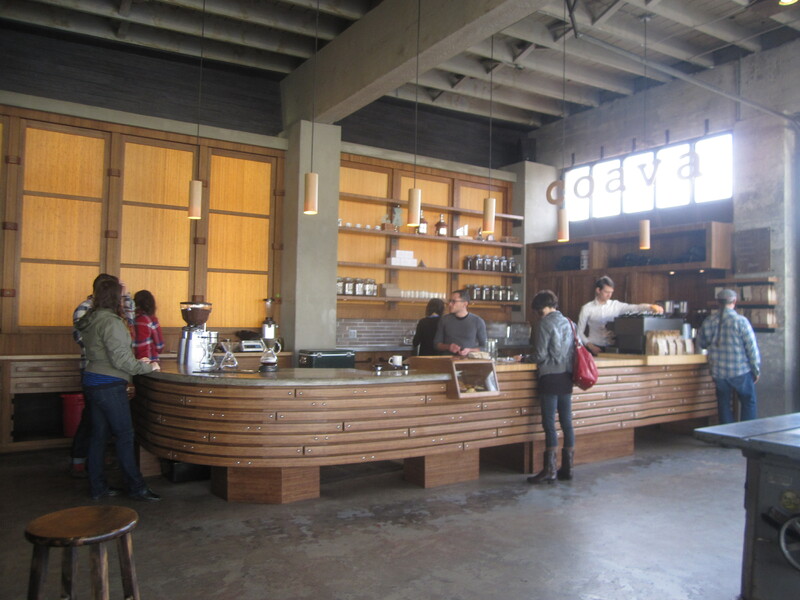 Coava has the striking venue. Sterling is the striking experience. Courier Coffee on the other hand isn’t exactly an architectural marvel or a proper tea parlor. It’s downright Portlandia there on SW Oak. They even have sparkling Portland tap water on tap and they let you know the pour-over coffees’ water is precisely 198.6 + or – .4 degrees F. The roastery is out on SE Hawthorne and the beans often transported around the city via bicycle. I can now vouch for the macchiatos after raving about the espresso before. However, the real revelation this time was Courier’s exceptional baked goods courtesy of Leala Humbert. The regal cannellés are magnificent, with much more of a proper custardy interior and slightly burnt exterior than typically found. Coffee and baked goods doesn’t get better than this. The two new roastery-coffeehouses I had to sample didn’t disappoint. 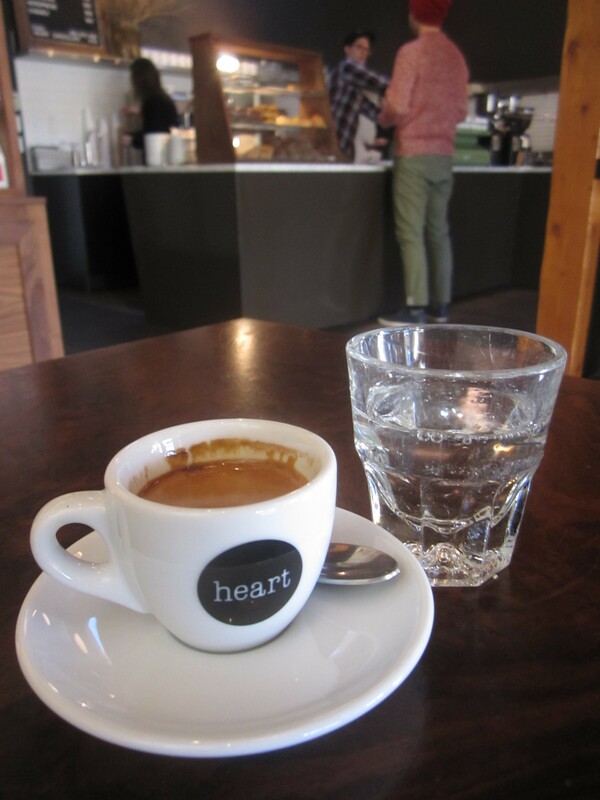 Heart Coffee Roasters on E. Burnside started four years ago, the brainchild of a Finnish professional snowboarder, Wille Yli-Luoma. Heart’s café certainly transported me back to the more alternative style cafés of San Francisco, where skinny jeans are the dress code, techno is pumping, and the roaster machine is the dominant decor aspect of the room right smack in the center. Heart’s roasting style is more in the light to medium style, instead of the usual West Coast heart, deep, dark form. Yes, it is what we call a Scandinavian style. Immediately the espresso transported me back to Tim Wendelboe in Oslo and Coffee Collective in Copenhagen, every bit as smooth and expressive as those global legends. 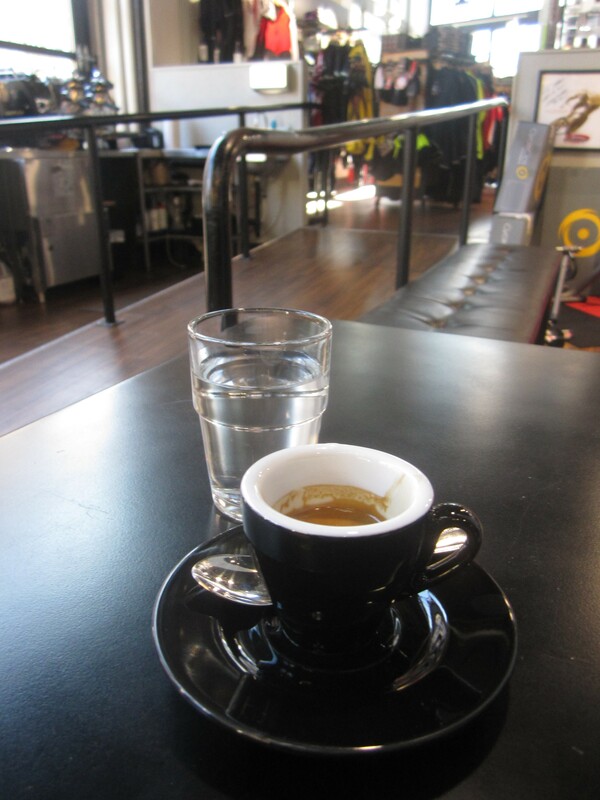 If an award for espresso with most clarity and depth is to be awarded, here is the victor. 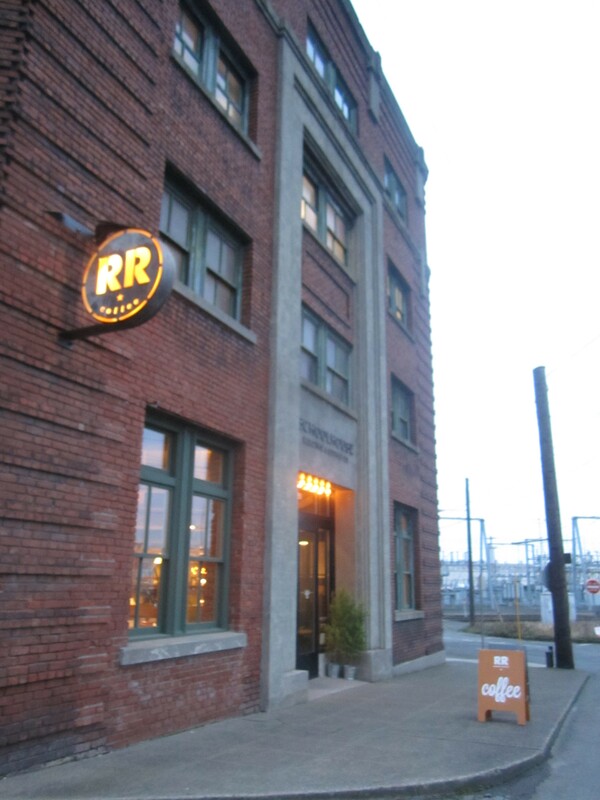 Meanwhile, Ristretto Roasters, courtesy of owner/roaster Din Johnson, certainly focuses on the classic darker varieties, with an espresso that hits much more of the cherry-hickory side than Heart’s dominant citrus notes. The main NE Roastery is near the Rose Garden, possibly LaMarcus Aldridge’s favorite café? I stopped by the newest coffeehouse in NW Portland’s Warehouse District. The location inside the completely gentrified, exceedingly chic Schoolhouse Electric Building (actually a furniture shop…) is absolute prime real estate for sipping an afternoon latte. 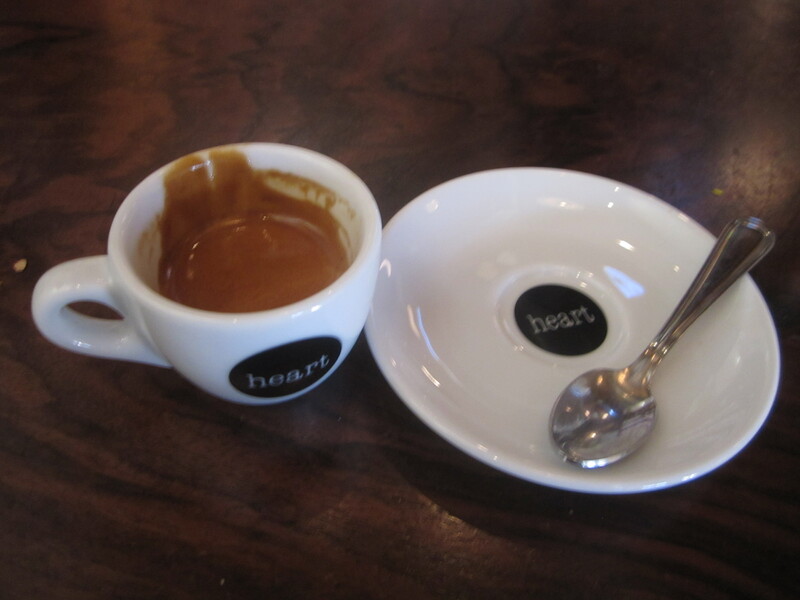 The espresso’s slight sharp edge to the aftertaste is the only reason it’s not quite up to Heart’s and other top coffeehouses’ levels. The smiles from the baristas put Ristretto over the top. In the end, the baristas who are really pulling the extraordinary shots of Portland at this precise moment don’t actually operate their own café, nor do they roast their own beans. 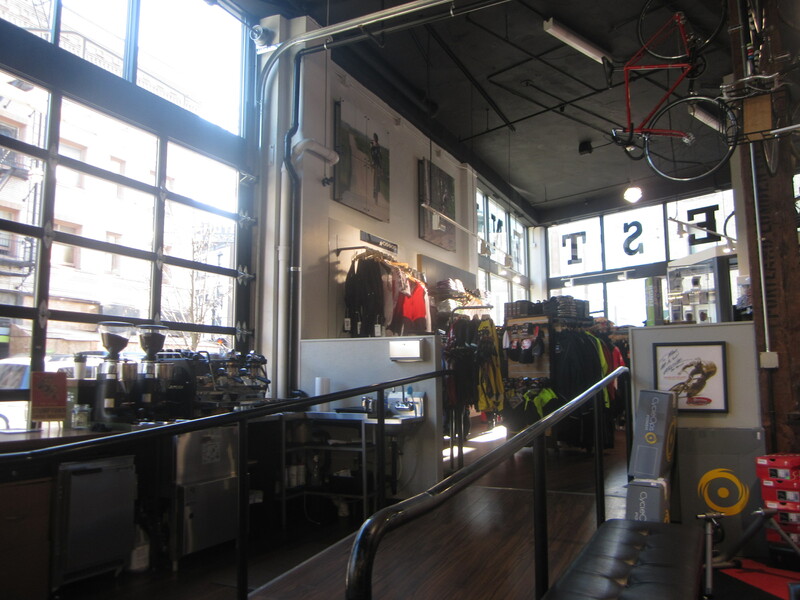 Located inside West End Bikes with two tables and a beautiful espresso machine, Maglia Rosa’s espresso with Stumptown single origin beans is everything an espresso shot should be. It’s heavily layered, starting with sage and cinnamon, moving to a bitter cacao nib, and finishing with hot buttered rum. The shot is so tight and focused, with the perfect crema and bronze body. I have a terrible fear of biking, but I would show up each morning to this bike shop for a drink. Maglia Rosa is the creation of Phuong Tran, the 2005 US Barista champion, Though the champion wasn’t there for either of my visits, her gifted rotating cast of baristas could easily win the national prize as well. One might notice how much I rave about not just the espressos, but the baristas themselves. That’s because here, the baristas are glad to see you and present with you a terrific drink. It’s an almost unheard-of trait in most other cities. Great espresso is even more superior with warm hospitality. You know you’re in a great coffee town when exceptional espresso can be found everywhere, from the sleekest hotel lobbies to formal cafés with flower vases on the tables to bike shops. What’s next? Is somebody opening an espresso bar in the Rose Test Garden? This entry was posted on February 10, 2013 by trevsbistro. It was filed under Insight, Portland .